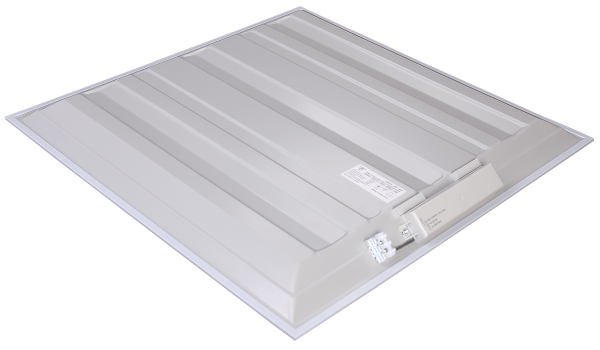 A66-3340-B2K - LED luminaire for illumination of offices, halls, warehouses etc. with suspended ceilings of Armstrong type. It is designed to replace inefficient and outdated office lamps with four fluorescent lamps 18W each. Due to high quality components and professional approach to design, luminaire provides luminous flux 3300lm during the whole operation period. That`s why replacement of fluorescent lamps with the same number of LED-luminaires of this model leads to increase in luminous flux by 20% - 30%. Quality LEDs by OSRAM Opto Semiconductors provide high-quality luminous flux in full compliance with the stated parameters including both light spectrum components and luminous flux stability throughout the whole operation period. Metal case guarantees reliability and long lifetime. The size of the case maximally promotes the implementation of rational lighting options. 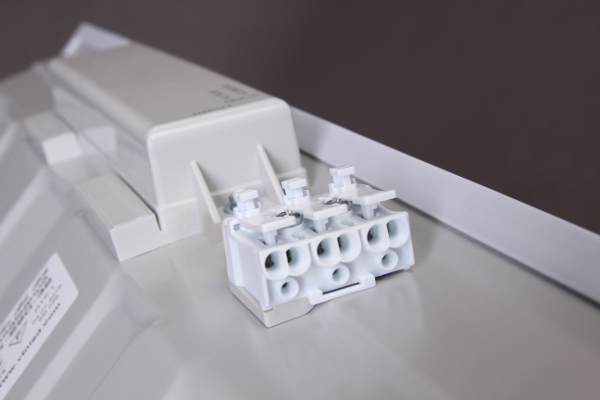 Special mounting with simple fixation mechanism allows to fix luminaire to the ceiling or any other plain surface quickly and without any additional tools. Smooth opal diffuser provides uniform light diffusion. This model is recommended for rooms with ceilings height less than 3m. The use of diffuser made of high quality material ensures the absence of surface yellowing during luminaire operation period. LED luminaire by VTN meets the requirements of TU 27.4-13317508-012:2014, EMC Directive 2004/108/EC and Directive 2006/95/EC (LVD), EN IEC 60598-1:2014, EN IEC 60598-1:2002, EN IEC 60598-2-2:2007, EN CISPR15:2007, EN IEC 61547-2001, EN IEC 61000-3-2:2008, EN 61000-3-3:2012, GOST 17677-82. Warranty period for all LED luminaires is 5 years from the manufacturing date. Luminaire lifetime - 40 thousand hours.